You can search for the ‘RoosterMoney’ skill from your Amazon Alexa app and Enable it for your family. Use your parent login details to link you account and then say ‘Alexa, open RoosterMoney’! We developed the RoosterMoney skill for Amazon Alexa to act as a family hub where everyone can find out how much is owed to who, who earned the most and who spent the least. And for family’s on PLUS, you can find out what jobs are scheduled for the day! 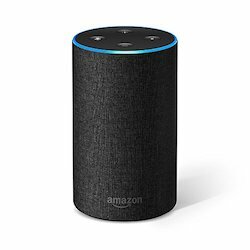 Download our Amazon Alexa cheat sheet to see what questions she can answer. If you’d like to see a question that we don’t have, fill out this feedback form to log your request. Alexa is a work in progress and she may not get everything right. If she can’t understand your children’s names or is not responding to a question, please let us know at hello@roostermoney.com. 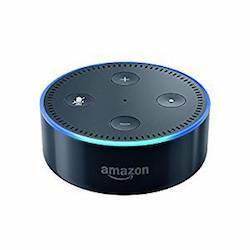 Want to purchase an Amazon Echo device? 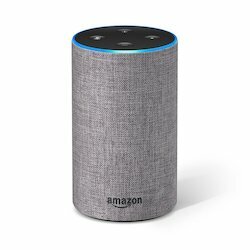 Buy your Amazon Echo in ‘charcoal fabric’ on Amazon here. Buy your Amazon Echo in ‘heather grey fabric’ on Amazon here.